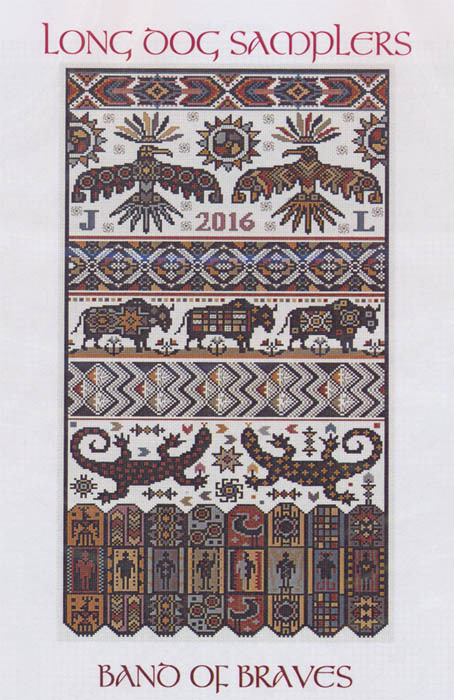 Unique sampler with bands of Southwest motifs. Lower band is 8 braves. Count: 154 x 312.